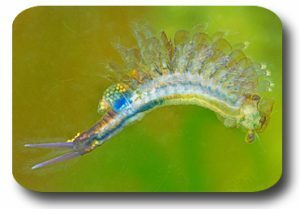 Challenge to Riverside Fairy Shrimp Critical Habitat Designation Still Pending in Federal District Court in D.C.
On December 4, 2012, the U.S. Fish and Wildlife Service published a revised final rule designating approximately 57 acres of land in Otay Mesa in San Diego County, as critical habitat for the Riverside fair shrimp. Scientifically known as Streptocephaluswoottoni), fairy shrimp are tiny crustaceans commonly known as “sea monkeys.” When fully mature, they are approximately 23 millimeters in length, and live about 90 days. As with Fish and Wildlife’s designation of the dusky gopher frog in Louisiana, there is no evidence that there were any Riverside fairy shrimp on the 57 acres at the time the species was listed, as is required by the Endangered Species Act. Likewise, the Government presented no substantial evidence showing that the 57 acres should have been designated as critical habitat for the species. And as a result of the critical habitat designation, a much-needed San Diego County recycling center has been put on hold. Although 85% of the residents of the County voted to approve the recycling center, the land that would be used for the center remains off limits for an endangered species that has not been shown to even occupy the land.